Dave Birss spent 20 years as an advertising creative, coming up with ideas for many of the world's biggest brands. Along the way, he helped to lead the creative departments of a number of the UK's top agencies, including Poke, OgilvyOne and McCann Worldgroup, winning many awards along the way. This experience led to him becoming the Editor at Large for The Drum Magazine. Since then he's taught at universities and organisations all over the world. He's the author of A User Guide to the Creative Mind, a handbook for creative thinking that's recommended reading on many of the world's top advertising courses. And he's the co-author of Iconic Advantage, which proposes an approach to innovation that builds brands and generates profit. 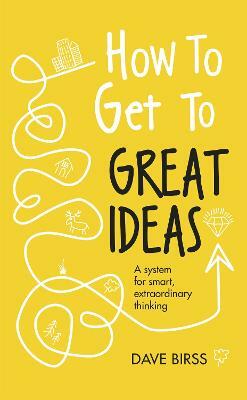 He's also the brains behind RIGHT Thinking, a system for generating effective ideas. He's currently working with companies around the world to help them use the system to improve their thinking.